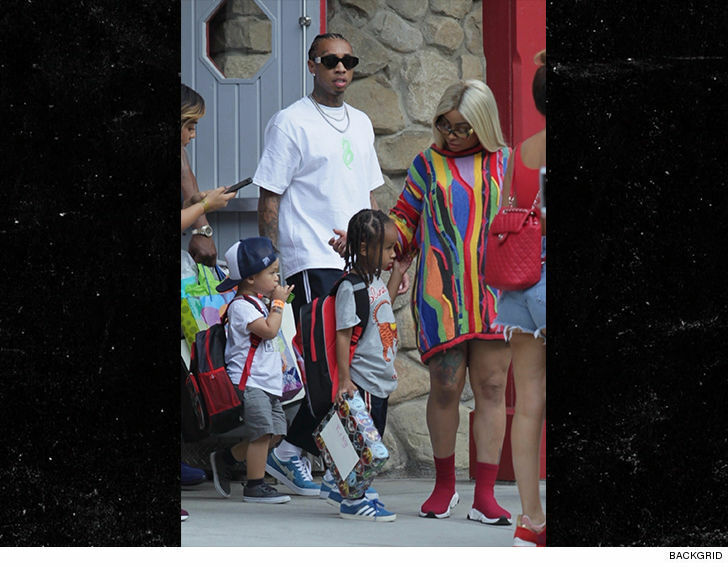 Blac Chyna and Tyga are willing to play nice with each other and even hang out together in public again, but only on one small — yet growing — condition … namely, their son. 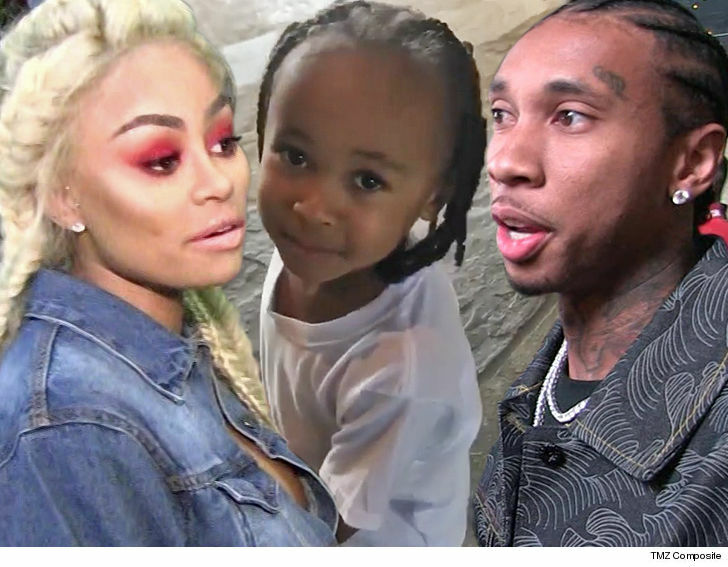 Sources connected to the former couple tell TMZ … Chyna and Tyga’s unexpected reunion this weekend for King Cairo‘s 5th birthday party at Six Flags was at least 2 months in the making, and mostly thanks to King’s nanny. We’re told the nanny convinced the feuding exes to make peace during a 3-way phone convo. The impetus for burying the hatchet — King was about to start kindergarten, which meant there would be upcoming activities requiring co-parenting. Before the peace summit, our sources say Chyna didn’t even have Tyga’s phone number – but now the feeling is they’re cool being near each other … as long as King’s third-wheeling. If nothing else, opening communication lines should help ’em avoid planning disasters like doubling up King’s birthday themes.